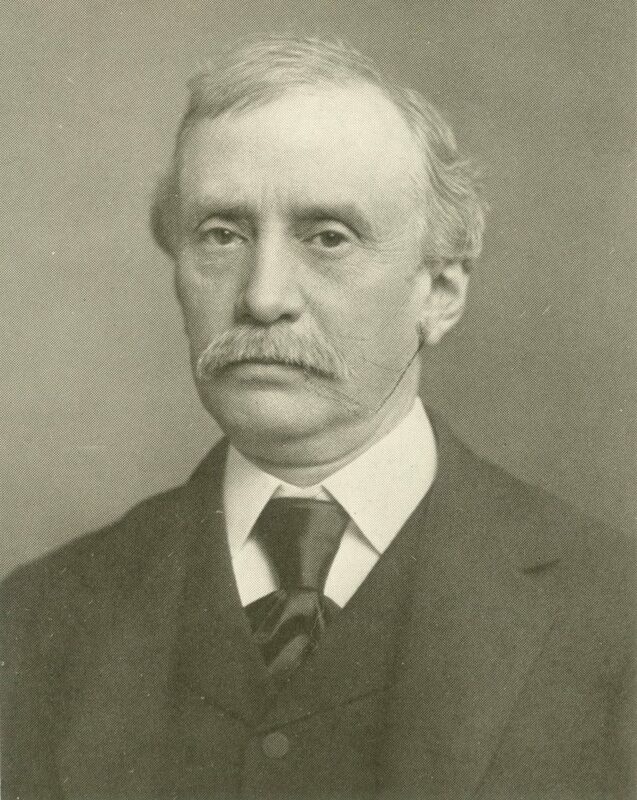 Charles Eldridge Morgan was born in Philadelphia in 1844, the son of Charles Eldridge Morgan and Jane Owen Buck. After attending schools in Germantown, he entered the University of Pennsylvania as a freshman in the College in 1860. As a sophomore young Morgan was awarded the Sophomore Declamation Prize. He was a member of the Philomathean Society and the Phi Kappa Sigma fraternity. He was also captain of Penn’s 1864 cricket team, the first Penn cricket team to play an intercollegiate match. During the summer of 1863, in the midst of the Civil War, Morgan served as a private in Landis’ Battery, a Philadelphia unit stationed at Carlisle as a first-line reserve for the Battle of Gettysburg. After graduation Morgan read law in the office of Judge William A. Porter. In 1873 Morgan joined with Francis Draper Lewis to found the Philadelphia law firm of Morgan, Lewis, & Bockius. He also served the City of Philadelphia as First Assistant City Solicitor and as a member of the Board of City Trusts and the Board of Education. Morgan played a major role in the Germantown Cricket Club; he was also a member of the University Club, the Union League, and the Society of Cincinnati of New Jersey. Charles Eldridge Morgan married Elizabeth Merrick and made his home in Germantown. His brothers also attended the University of Pennsylvania: Randal, A.B. 1866, John Buck, A.B. 1873, and William Buck Morgan, College Class of 1880.